Ask and ye shall recieve:-) Check out my pick for Ms. Moore (#4) as well as some other haute lace-ups below. Remember...if you have any questions for me you can tweet @TallSWAG, message me on Facebook or email me at info@TallSWAG.com. 1. ME TOO LISBON BOOTIE at Height Goddess. $89. Sizes 11-14. 2. BOUTIQUE 9 DEMARKO BOOTIE at Barefoot Tess. $169. Sizes 11-14. 3. Z LONDON SANDIE DESERT BOOT at Payless. $44.99. Sizes 5-13. If it's sold out online you can find in in a stor near you with the new Find This Near You feature. 4. EAST BY FRANCO SARTO at Long Tall Sally. $169. Sizes 10-13. 5. BP HIGHTOWER OXFORD PUMP at Nordstrom. $79.95. Sizes 4-12. 6. BAREFOOT TESS BRADFORD BOOTIE at Barefoot Tess. $99. Sizes 11-15. 7. AEROSOLES FOUNDATION ANKLE BOOT at Endless. $150. Sizes 5-12. 8. MOSSIMO KAYLOR ANKLE BOOT at Target. $34.99. Sizes 5.5-12. 10. MYBOO at Nine West. $229. Sizes 5-11. Don't get caught in a storm or puddle without the proper footwear (keep those tootsies warm and more important dry). Check out some appropriate sized rain boots below. RAIN DOWN ON ME. Cute boots for un-cute weather. Don't see one that you want? Check out the TallSWAG shoes page for more options. 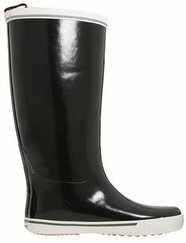 SPERRY TOP-SIDER PELICAN TALL RAIN BOOT at Nordstrom. $67.95. Sizes 5-12. TRETORN SKERRY RESLIG RUBBER RAIN BOOT at 6PM. $35. Sizes 4-11. Check out the VIDEO. HUNTER HUNTRESS BOOT at Nordstrom. $125. Sizes 5-12. HUNTER ORIGINAL IN NAVY at Piperlime. $125. Sizes 5-12. SORREL SORELLINGTON PLUS at Zappos. $130. Sizes 5-12. 2 boots in one. Remove red liner for an all black boot. Check out the VIDEO. BAREFOOT TESS SEATTLE BOOT at Endless. $79. Sizes 11-15. AVENUE RAINA CROC EMBOSSED RAIN BOOT at One Stop Plus. $44.99. Wide width. Sizes 7-12. AUSSIE DOGS RAINBOOT UPPER BUCKLE at 6PM. $26.95. Sizes 6-12. Check out the VIDEO. When I first saw people wearing rain boots I literally laughed out loud. What adult would wear a rain boot? I equated it to footsie pajamas...anyone over 10 shouldn't wear them (of course this is my opinion. If you want to rock an adult footsie pajama go ahead. That's on you:). BUT my tune on rain boots has changed. They come in real handy for those days where you have to wade to work and there are so many cute styles that you almost forget that you are wearing waterproof footwear. 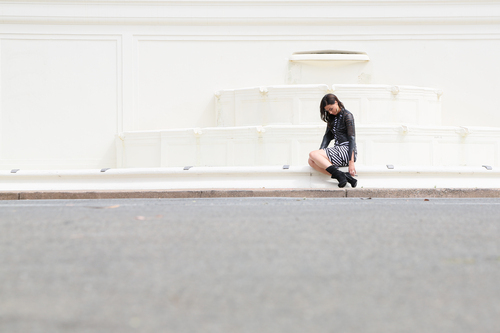 Attack a rainy day in style with these boots up to size 14! BOOT IT UP FOR THOSE RAINY DAYS. Styles from left to right: Cosmosis Women's Spin Drift Boots ($249.95, Endless.com), Naturalizer Rayne Boot ($78.95, Nordstrom.com), Tretorn Skerry Resling Rubber Rain Boot ($48, Zappos.com), Steuart Weitzman Puddles Rain Boot ($98, Nordstrom.com) and Hunter Original Wellie Red ($125, Barefoottess.com). COSMOSIS WOMEN'S SPIN DRIFT BOOT at Endless.com. $249.95. Sizes 8 to 14. Free 2 day shipping. Free return shipping. NATURALIZER RAYNE BOOT at Nordstrom.com. $78.95. Medium and wide width. Sizes 5 to 12. TRETORN SKERRY RESLING RUBBER BOOT at Zappos.com. $48. Sizes 4 to 11. Comes in black, navy blue, olive, pink and yellow. STEUART WEITZMAN PUDDLES RAIN BOOTS at Nordstrom.com. $98. Sizes 5 to 10.5 (small to x-large). HUNTER ORIGINAL WELLIE RED at Barefoottess.com. $125. Sizes 11 to 14. Also comes in green, navy and black.